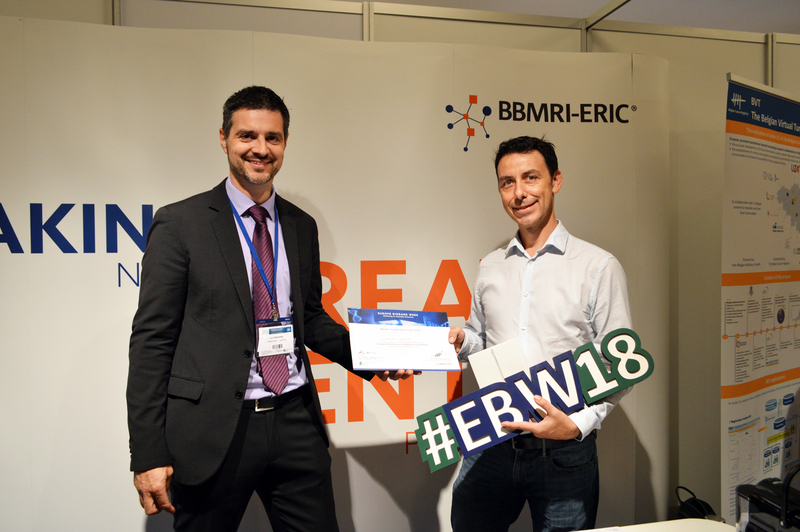 Laurent Dollé, Business Developer at Drone4Care, won a Presidents’ Award for the best scientific idea pitch at Europe Biobank Week 2018. Reporting back from the event, Laurent explains what Drone4Care is all about. ‘Nowadays, everything moves: people, goods, and data – so why not blood, organs or healthcare products?’, says Laurent Dollé, Business Developer at Drone4Care. Thanks to their ability to bypass road closures and fly over rugged terrains, drones are ideal for deliveries both in smart cities and rural communities, but also in remote areas that are far away and difficult to reach and in low-resource regions without infrastructure. Moreover, they can be used by emergency services or NGOs. This is where Drone4Care comes in. Congestion does not only have a negative impact on the environment, but it is also a major hurdle in situations where healthcare products need to reach patients quickly. More than half of the world’s population lives in cities. With an additional 1 billion people projected to be living in cities by 2030, traffic is going to increase greatly. This means that city logistics will be a major challenge in urban planning in the future. Blood and other biological material but also pharmaceuticals are extremely sensitive and become less effective or even useless when exposed to temperatures outside the recommended range. With more and more high-value thermosensitive health products being launched, pharmaceutical companies face an increasing economic risk when transporting goods. They are not the only ones, however: the healthcare sector, including hospitals, clinics and laboratories, and CMOs face similar threats when transporting blood, organs or infusions for cell therapies from A to B. The safety of many people depends on a reliable supply chain that can deliver high-quality samples. A single error in the supply chain can damage medicines and render them ineffective and even potentially harmful for patients. ‘With human lives at stake and billions of euros invested, it is time for change. That is why at Drone4Care, we are reinventing the operational efficiency in transportation and distribution of healthcare products to improve the quality of patient care, scientific research and the healthcare system as a whole’, says Laurent.